It’s clear that CBS loved the cover of my novel “LOVE GONE MAD.” They copied it for the logo of their new series, “Stalker.” Take a look and decide for yourself. 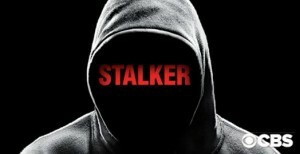 My novel was published in 2013, while “Stalker” only premiered the week of October 1st, 2014. 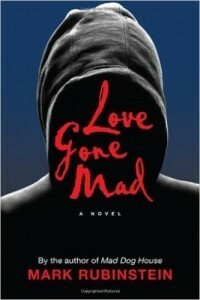 I’m thrilled to announce that my new novel, Love Gone Mad, has officially launched and can be purchased online at amazon.com, barnesandnoble.com and bookstores in your neighborhood. It’s available in soft cover and also as an eBook. One thing that a writer needs to do, if he’s to keep publishing his work, is to sell his books. So what follows is a great review from Library Journal. I’m hoping this will encourage you to go to your local library and suggest that they purchase a copy. Of course, you’ll also want one for yourself! Rubinstein, Mark. Love Gone Mad. Thunder Lake. Sept. 2013. 352p. PS. If you’d like to catch me in person or listen to me on the radio, check out my website’s list of events.